​Jay Howe Jr. is the director of Howe2Dance in Fairbanks, Alaska. He began studying dance at the age of 8, and studied Dance Performance at Southern Methodist University in Dallas, Texas. Jay has enjoyed performing masterpieces by George Balanchine and Martha Graham, in addition to original works by Max Stone and Chung Lin Tseng, to name a few. After college, Jay moved to Orlando, Florida, and had the incredible pleasure of performing in Festival of the Lion King at Disney’s Animal Kingdom, Dream Along with Mickey at Cinderella’s Castle, and countless parades on Main Street USA in the Magic Kingdom. In September of 2009, Jay was invited to join the cast of Disney Live! Three Classic Fairy Tales for their international tour. Over the next 2 years, he toured with the amazing cast and crew throughout Europe, China, and Australia. In 2011, Jay relocated to Fairbanks, Alaska to instruct dance at Dance Theatre Fairbanks and University of Alaska Fairbanks. During his time at Dance Theatre Fairbanks, Jay directed Peter Pan, The Little Match Girl, and he designed and directed an original ballet, Yellow Brick Rd. 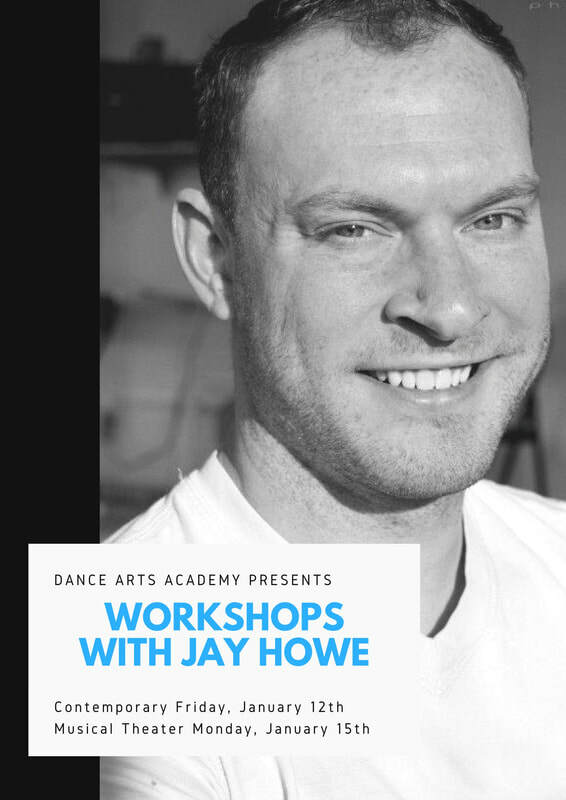 For the last year, Jay has been forming his company, Howe2Dance. He continues to foster growth in the dancers, encouraging them to expand their vocabulary of movement outside the traditional confines of “dance.” It is his hope that every dancer he works with reflects on the direction they are given, synthesizes it for their own body, and recreates a movement that is honest to them.